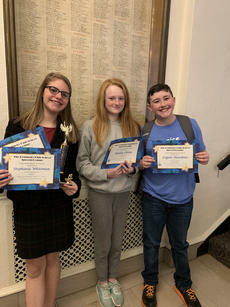 The LCMS Speech Team competed at the KHSSL Junior State Speech Championships at UK on March 1-2 and returned home boasting a state finalist with 6th place finish and four state semi-finalists. Let’s continue in prayer for the families that have lost ones due to various acts of violence, injuries, or sickness, and all the sick and shut-ins, hospitals, nursing homes, institutions, jailhouses, prison walls, rehabs, the homeless, men and women fighting for our country, our law enforcement, our country, violence throughout the country, our President, The White House, and most of all, pray for one another. Jason Lee had surgery last Monday and returned home. Elder Jerry and Rosalyn Wilkinson’s grandson will be having surgery Monday. Over thinking will lead to sadness! I so loved the beautiful sunny days we had the first of last week; it sure got you wishing for spring to get here soon. Sunshine didn’t last long enough; ole man winter isn’t through with us yet, unfortunately. Mom is improving every day. 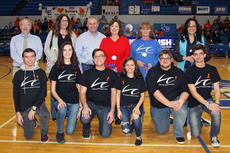 Thinking of you wishes go out to Cathy LaFollette, Alene Skaggs, Tenley Ward and family. Jean Judd, Billy Duncan, Tommy Wright, Margaret Gowen, Sue Jewell, Rosemary Ford, and Priscilla Brown. When a wide eyed nine year old boy launched a message tied to several balloons last November, he could only imagine how far it might travel. 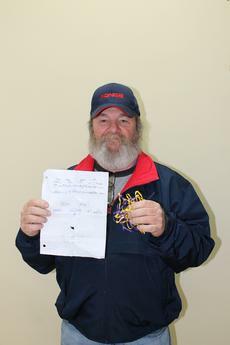 Tied with a message, of ‘tell me what state it’s at’, Jack Frankum could imagine his purple and gold balloons and streamers going as far as Canada or even New York. The Abraham Lincoln Birthplace NHP is hosting a series of free braided rug classes at the park during the month of February. All classes are free and will be held on Saturdays from 10 a.m. to 2 p.m. (EST) at the Birthplace Visitors Center. All supplies will be provided free of charge. 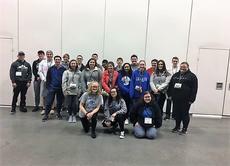 The LaRue County High School Beta Club traveled to Louisville January 13-15 attending the Kentucky Beta Club Convention. 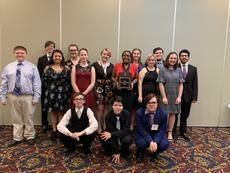 While there, students competed in several areas, including: quiz bowl, poetry, language arts, science, social studies, speech, recyclable art, sculpture, photography, drawing, math, and others. The convention was back in Louisville after being held in Lexington the last few years, so the club got to enjoy the new renovated Kentucky International Convention Center and stayed at the downtown Hyatt Regency. 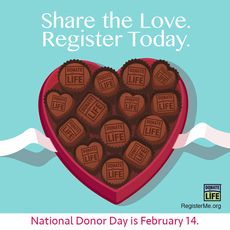 February 14 is National Donor Day, which aims to serve as a reminder of the importance of discussing the lifesaving possibilities of organ and tissue donation. Thanks to the Circuit Court Clerks of Kentucky, showing the heart on your driver’s license is the perfect way to start a conversation about love and legacy.